Starting off his SummerNationals effort with qualifying on Saturday, Tavella clocked the quickest time to secure the pole position for the two heat races to follow. 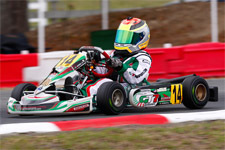 The GT7 Motorsports/Tony Kart pilot scored the first heat race victory after two failed starts forced him off the pole position. 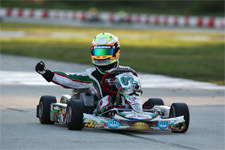 The second heat saw Tavella again take the win, running flag-to-flag and ending three tenths clear of the field. 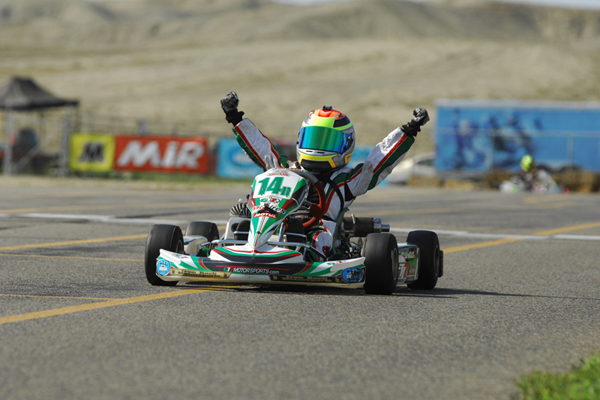 In a shortened final due to an early red flag, Tavella again went on to lead every single lap en route to his first ever Pro Tour main event win and a complete sweep of the day's events. Back on track Sunday, Tavella looked poised to repeat his pole efforts as he clocked P1 early on. 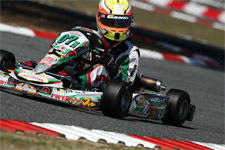 By the end of the session however, the young gun was relegated back to the tenth position. Needing to make up ground in the wheel-to-wheel action, Tavella moved up to finish fifth in heat one and third in heat two. 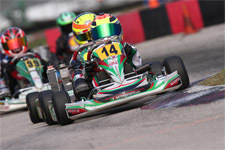 Using his inside row two starting position to his advantage in the final, Tavella took the lead in turn one and never looked back. Cruising to a 4.6 second victory, the GT7 pilot not only scored his second main event win of the weekend but also took home a cool $500 for his efforts. 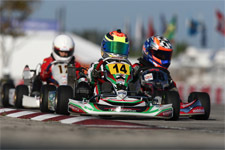 Tavella will next take on the Rotax Max Challenge United States Grand Nationals in Mooresville, North Carolina July 31-August 3 at the GoPro Motorplex. 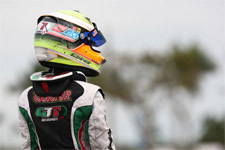 Gunning for not only the US National title in the Micro Max division, Tavella will also be looking to earn an invitation to run the Micro and Mini Invitational during the Rotax Grand Finals in New Orleans this November.